Huawei just announced MateBook, it’s latest 2-in-1 running Windows 10. It has a 12-inch (2160×1440 pixels) IPS display with screen-to-body ratio of 84%, is powered by 6th Gen Intel Core M processor, has 4GB or 8GB of RAM, 128/256/512GB SSD, 5-megapixel front-facing camera and also has a fingerprint sensor that supports 360-degree sensitive identification. It offers the fastest fingerprint recognition in the industry, claims Huawei. It also comes with MatePen stylus pen that offers 2,048 levels of sensitivity for capturing users’ subtle and diverse pen-tip actions with zero delay. It also supports graphics and mathematic functions, and can be used as a laser pointer for delivering presentations. It has a separate keyboard case that is environmentally friendly, soft PU leather, features a 1.5mm keystroke and a chiclet keycap design. 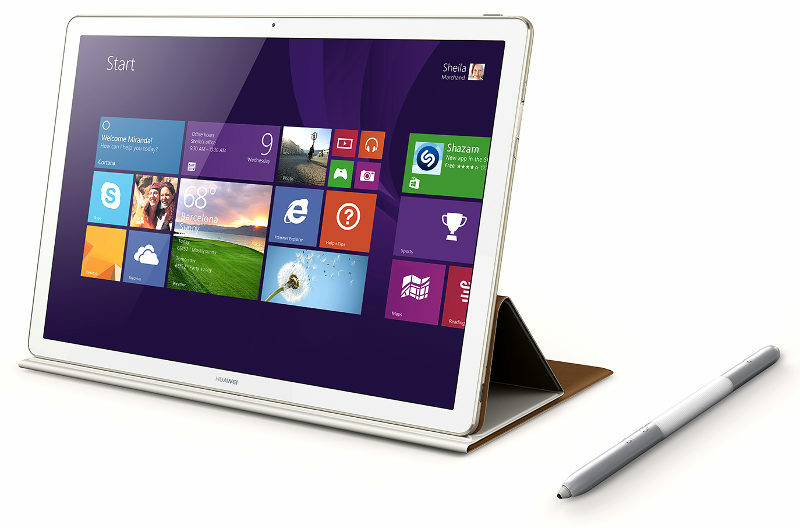 It has built-in touchpad with multi-touch technology. It weighs 640 grams, comes with dual microphones and dual speakers. The 4430mAh battery promises up to 9 hours of work, 9 consecutive hours of Internet use and 29 hours of music playback. It can charge up to 60% battery strength in just one hour and charge fully in two-and-a-half hours. The Huawei MateBook comes in Grey and Golden colors and the keyboard case comes in Black, Brown, Orange and Beige colors. It will be available in Asia, Europe and North America in the coming months, but no word on the exact availability yet. 6th Core m3 with 4GB RAM, 128GB storage – $699 (excludes tax) / €799 (includes tax) / Rs. 61130 approx. 6th Core m3 with 4GB RAM, 256GB storage – $849 (excludes tax) / €949 (includes tax) / Rs. 72610 approx. 6th Core m5 with 8GB RAM, 256GB storage – $999 (excludes tax) / €1,149 (includes tax) / Rs. 87910 approx. 6th Core m5 with 8GB RAM, 512GB storage – $1,199 (excludes tax) / €1,349 (includes tax) / Rs. 1,03,215 approx. 6th Core m7 with 8GB RAM, 256GB storage – $1,399 (excludes tax) / €1,599 (includes tax) / Rs. 1,22,340 approx. 6th Core m7 with 8GB RAM, 512GB storage – $1,599 (excludes tax) / €1,799 (includes tax) / Rs. 1,37,645 approx. Keyboard – $129 (excludes tax) / €149 (includes tax) / Rs. 11,400 approx. MatePen – $59 (excludes tax)/ €69 (includes tax) / Rs. 5,280 approx. 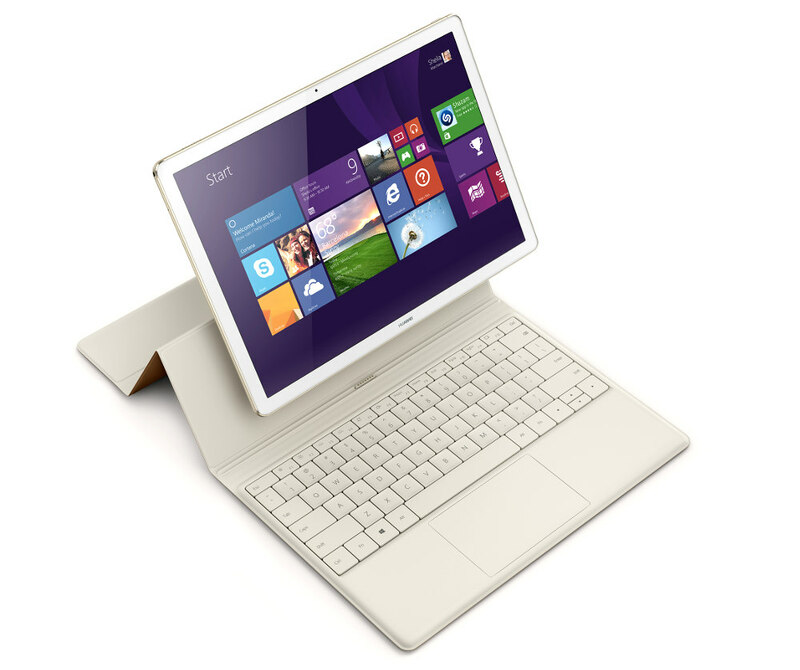 MateDock – $89 (excludes tax) / €99 (includes tax) / Rs. 7,575 approx.